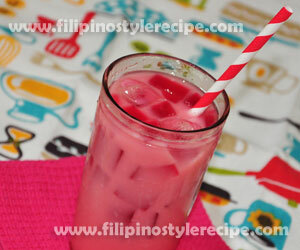 Filipino Style Recipe: fruit cocktail “sa malamig” or fruit salad drink is another refreshing beverage and usually serve during afternoon or summer season. 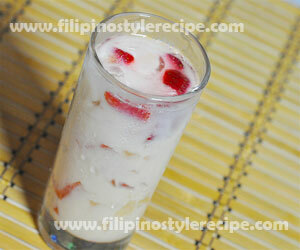 This drink is inspired to fruit salad dessert and commonly sold along the street. 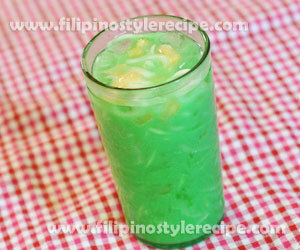 It is consists of condensed milk, fruit cocktail and other fruits then stir with lots of ice cubes. 1. In a pitcher, combine all the ingredients. 2. Stir in lots of ice then let stand for a while until some ice is melted. 3. Don’t put too much water or it will dilute the taste of the drink. 4. Pour in tall glasses then serve chilled. 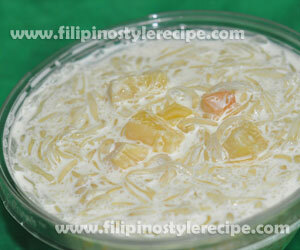 Filipino Style Recipe: Panna Cotta with Mango Jelly is a sweet and creamy Italian dessert. 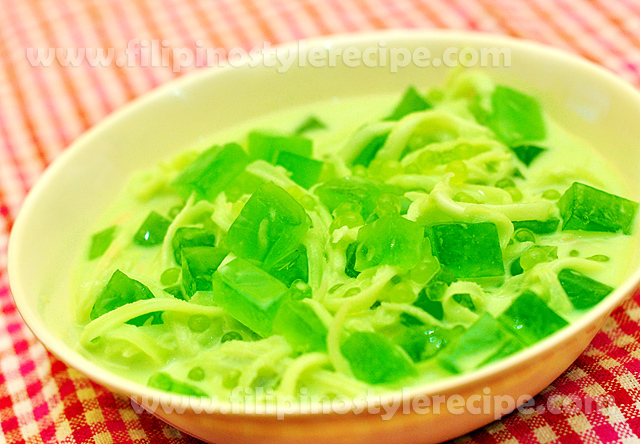 This dessert is very easy and does not require oven. 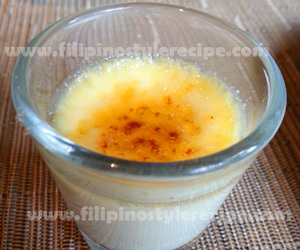 Here’s my quick and easy recipe for Panna Cotta with Mango Jelly. Share and enjoy cooking! 2. In a pan, simmer mixture over low heat for 15 minutes. Strain to discard any particles. 3. Pour panna cotta 1/3 of serving cup. Refrigerate until firm. 4. Pour mango-gelatin mixture over panna cotta. Refrigerate for at least 4 hours or until firm. 5. Serve from the serving cup or transfer into serving dish top with mango slices. Enjoy!